There are 123 articles in this category. 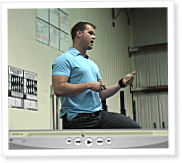 Tissue healing has three phases, Kelly Starrett told participants at a one day seminar at CrossFit Santa Cruz on March 14, 2009. Starrett is the owner of San Francisco CrossFit and a Doctor of Physical Therapy. Strength and conditioning can only normalize tissue permanently changed by injury. You can never undo what’s been done, Kelly Starrett told participants at a one day seminar at CrossFit Santa Cruz on March 14, 2009. Starrett is the owner of San Francisco CrossFit and a Doctor of Physical Therapy. There are 27 comments on this article. Login to add your own. Dr. Lon Kilgore explains the basic anatomy and physiology of how the body is built to move. In CrossFit and in life, we go overhead. 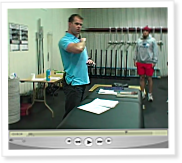 Kelly Starrett, of San Francisco CrossFit, explains the essential anatomy and physiology of the shoulder. 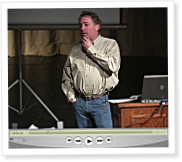 This is an excerpt from his one day seminar on Training the Injured Athlete at CrossFit Santa Cruz on March 14th, 2009. On April 3rd, 2009 CrossFit will be introduced to the academic exercise physiology community at the American Society of Exercise Physiologists national conference to be held on the campus of Midwestern State University in Wichita Falls, Texas. There are 60 comments on this article. Login to add your own.